After more than five years of debate amongst aviation regulators and uncertainty for Europe’s flying schools and clubs, the EU Parliament will shortly vote on new regulations for PPL flying schools. Although the move to become ‘Declared Training Organisations’ (DTO) will add more complexity to their operations than is currently required, the final rules are expected to be significantly less onerous than many flying school operators had previously expected. For many years, most flying schools and clubs in Europe that did not offer training for commercial licences were subject to varying levels of oversight from the aviation authorities. 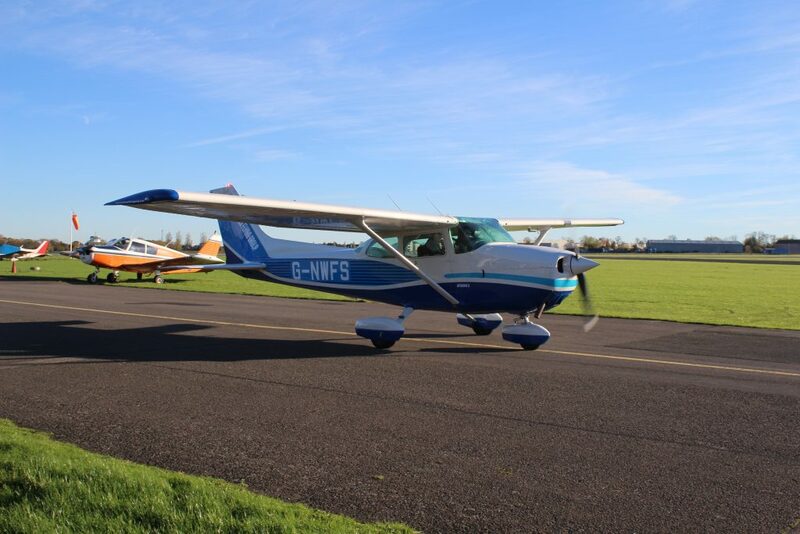 In the UK, for example, a small flying school was only required to register with the CAA (becoming a Registered Facility or ‘RTF’) in order to offer flight training, whereas other European Authorities required much more. However, the European Aviation Safety Agency (EASA) then arrived on the scene with a mandate to ensure that all flight training organisations were in some way ‘approved’ by their national regulators, rather than being just registered with them. Flight training schools providing training towards commercial licences and ratings were required to transfer status from Flight Training Organisations (FTO) to Approved Training Organisations (ATO) back in 2012, and at the time it was announced that PPL schools would be required to undergo a similar change sometime thereafter. This requirement caused a considerable backlash from flying schools and clubs across Europe (and in the UK in particular) with predictions that in the UK up to half of RTFs would be forced to close down in light of the expense and complexity of becoming an ATO. Under the current system in the UK, RTFs – as the name suggests – are registered with the CAA and are not routinely audited, operating under only a basic form of compliance. In fact, the arrangement is so unregulated that the CAA cannot say how many of the RTFs on its books are currently active. The RTF concept merely required the completion of a simple CAA form and payment of a nominal registration fee. Even before the advent of EASA there were some concerns of poor training standards amongst a small number of ‘rogue operators’. However, because RTFs had to comply with a host of licensing regulations for their instructors, airworthiness standards for their aircraft and could only operate from licensed airfields (now rescinded), the system was widely viewed as safe and fit for purpose. The ATO concept for RTFs was therefore considered by many in industry to be overblown and unnecessary, given the increased level of regulatory compliance in the form of safety management systems, complex operation manuals and audit trails. In effect, RTFs were being asked to apply commercial operational standards to what is largely a hobbyist activity – a common feature of early EASA regulation which was mostly geared to the needs of commercial aviation. Many UK RTFs were vocal in their opposition to these plans and a CAA road show in 2013 to highlight the new EASA requirements was met with mixed reaction from industry. Thanks largely to General Aviation lobbying groups, backed by national regulators and the UK CAA in particular, over time EASA has become more responsive to the needs of the GA sector and in 2015 it created the General Aviation Road Map, recognising that “…existing regulations impacting General Aviation may not necessarily be proportional to the risk exposure of GA”. As part of this process, a number of proposals have been put forward for some form of ‘non-complex’ ATO which would meet the letter of EASA regulation, whilst reducing the bureaucratic burden placed on RTFs. After a number of false starts (including a proposal for ‘Basic Training Organisations’ – BTO), regulators seem to have settled on the DTO concept. Concerning pilot training programmes, the GA Unit says that a DTO can use either their own training programme or an approved standardised training programme. If a training organisation wishes to use their own unapproved training programme, it must apply to the CAA to get it approved and this comes at considerable cost – £885, according to the CAA’s latest Scheme of Charges, currently out for consultation. Alternatively, a DTO can choose to follow one of the published training programmes already approved by the CAA, and a list of all approved training programmes will be published by the CAA in due course, the GA Unit confirmed. The GA unit has also confirmed to FTN that DTOs will be permitted to teach the full range of non-commercial pilot licences and ratings (see sidebar). There has been some confusion over whether DTOs will be able to deliver instrument flying training. FTN understands that the Instrument Rating Restricted (IR(R)) – previously known as the Instrument Meteorological Conditions Rating (IMCr) –can be obtained at a DTO (and ATO), as well as being taught by an independent Flight Instructor with the privilege to teach such ratings. The current deadline for schools to comply with the change in entity is April next year, but in recognition of the compliance work that must be undertaken by these schools, the UK CAA has indicated that EASA will extend the deadline by a year to April 2019. In the meantime, just what do these schools need to do in order to comply with the new rules and what will it cost? FTN spoke with the CAA General Aviation Unit to get a better understanding of the challenge ahead. DTOs will need to have two stakeholder positions in place, the GA Unit advises. These are the Responsible Person (or accountable manager) and a Head of Training. However, these do not need to be separate individuals, as long as the person meets the criteria for each role. In a similar fashion, the GA Unit confirms that operating areas, such as classrooms, exam rooms and briefing rooms can also be combined as long as they are adequate to support the scope of the training and the number of students being trained by the DTO. Perhaps the most significant change will be that DTOs will be required to maintain records, which will need to be made available to the CAA for audit. Whilst many of the records required to be maintained by DTOs are mostly already in use by RTFs, for example training, instructor standardisation records and technical logs, some records will be new to some training organisations, says the GA Unit. These include hazard logs and an annual activity and safety report. The GA Unit advises that it has produced a guidance document that will help DTOs understand what is required and that it will be published shortly. These records will then be inspected when DTOs undergo an audit, which will be conducted by the GA Unit. Crucially this audit will not be required ahead of conversion or as part of the conversion process, but at a future date. Audits, says the GA Unit, will take place no further apart than once every five years for current RTFs changing to DTOs. The initial RTF to DTO conversion, the GA Unit confirms, will be in the form of a declaration to the CAA, which will be accepted purely through the process of acknowledgement. FTN understands that once accepted, a new DTO (rather than an RTF or ATO converting to a DTO) will probably be audited in its first year of operation. The audit process is still being worked on, says the GA Unit, but it is anticipated that it will include details such as training activity conducted, skill test and theoretical knowledge examination passes and failures, safety reports and effectiveness of hazard mitigations. What about cost? The GA Unit have confirmed that the cost for initial registration will be £55, with any subsequent variation (such as new stakeholders being put in place, or relocation of training base, for example) also costing £55. The largest anticipated mandatory cost will be the charge for an audit and at this stage the GA Unit doesn’t know what it will be. They have advised that this will be addressed in the 2019/2020 Scheme of Charges consultation which will take place at the end of 2018. Current audit costs for commercial ATOs is £177 per hour, a price that DTOs will likely be unable to bear, industry associations have advised. The expectation, however, is that the DTO audit cost will be a proportionate charge appropriate for the PPL training sector. Declaration and training syllabus forms plus detailed guidance material on how to establish and operate as a DTO is due to be published in early 2018 on the CAA’s GA Unit website. Industry observers say that the UK CAA has taken the leading role at EASA in promoting the DTO concept and vetoing some of the more onerous requirements which other states wished to attach to the DTO regulation. While there is no doubt that maintaining a DTO will require some additional administrative work, compared with that required for an RTF, many believe that DTOs represent a workable future and a ‘light touch’ inspection regime for those flying schools and clubs which could never have justified the cost of converting to an ATO.